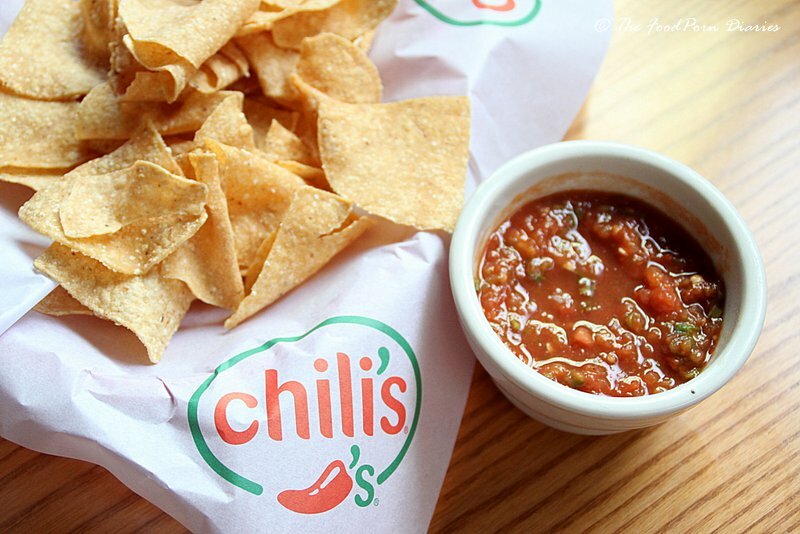 Chilis, the Tex-mex chain of restaurants, first opened in Bangalore in a nondescript building on Old Airport Road. Bearing testimony to the fact that location makes a difference, they have now reopened on 100ft Road in Indiranagar to bring the action to the masses. The Casual dining space is known for its killer cocktails and American portions of deep fried goodies. Old timers who miss the action of TGIF on Airport Road might find the vibe in Chilis, familiar and comforting. A sunny Saturday lunch quickly turned into a languorous three hour shindig, thanks to the skies opening up and flooding the roads. Thankfully for us, the Indian experience of eating hot pakoras and drinking tea on the balcony, was easily replaced with margaritas and nachos. Chilis is spread across three floors of a building that is designed to let the upper floors look into the happenings of the floors below. People watching can be quite the hobby with a couple of drinks for company. The lower floor is designed to allow more crowds to pack in on busy days with casual wooden seating. The upper floors are designed to imitate an American diner with booths to encourage larger parties. You have 80’s rock and roll playing in the background and with the smell of burgers in the air – the American vibe is complete. You need to start with a drink in Chilis. With their heady cocktail selections (including their famed Margaritas) and cocktail pitchers, beer and wine – you have a difficult task ahead. Lucky for me, I’m a sucker for Margaritas and the choice was easy. The Rita Trio. Like they say in the menu – why choose one when you can have three of our favorites? 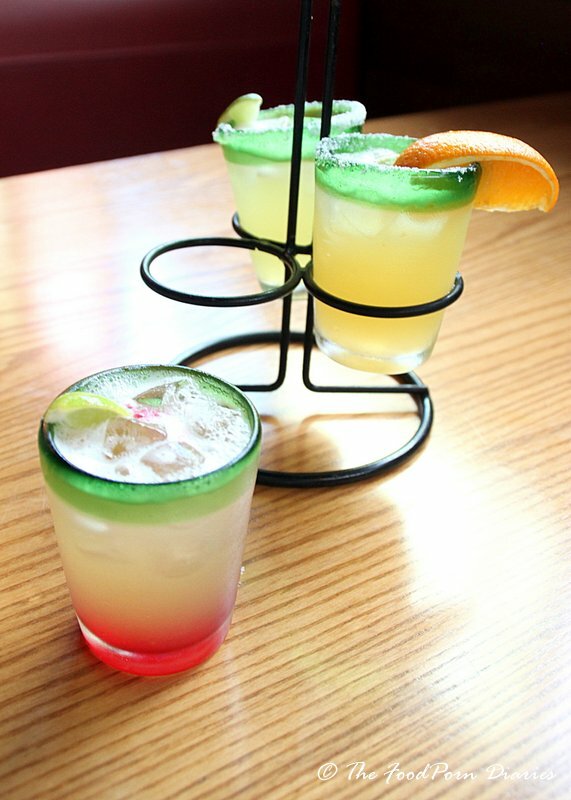 The El Nino, Presidente Margarita and the Tropical Sunrise. The El Nino has Tequila, orange liqueur and orange juice. Yum! The Tropical Sunrise was pretty as a picture but got a little too sweet for me. With Midori melon liqueur, pineapple juice and a splash of grenadine, you can see why. The Presidente is my favorite and I requested a repeat order of the same – but more on that later. Try their Bottomless Toastada chips with house made salsa or spinach and mushroom dip. 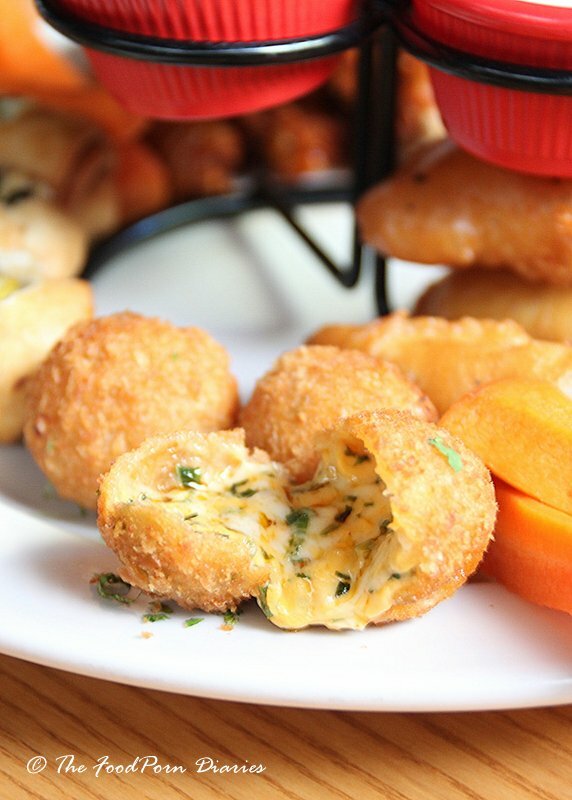 A good nibble companion to your Rita’s. The menu is vast – appetizers, salads, soups, chili, tacos & quesadillas, fajitas, steaks, burgers and even pastas. 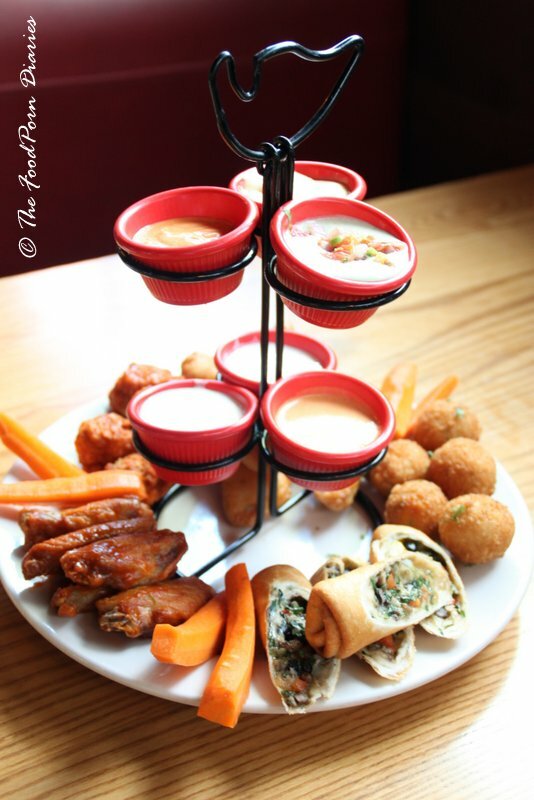 All the deep fried goodies sounded scrumptious and after a lot of indecision and arguments we finally settled on the Ultimate Dipper – Five Appetizers in one, each served with their unique dipping sauce! (Greedy trolls, I know!). Vegetarians will love the Southwestern rolls. 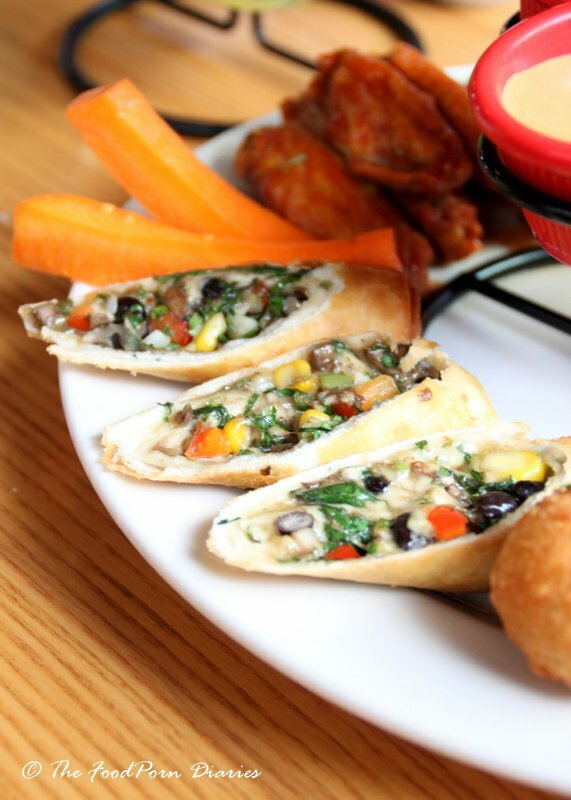 A crispy corn tortilla filled with black beans, corn, Jack cheese, red peppers and spinach. Served with Avocado ranch dressing – it’s creamy goodness in every bite. The Chicken Crispers are your answer to the Chicken version of Fish n Chips. Coated in the same deliciously light and airy batter – these tenders taste amazing dunked into the cilantro aioli. 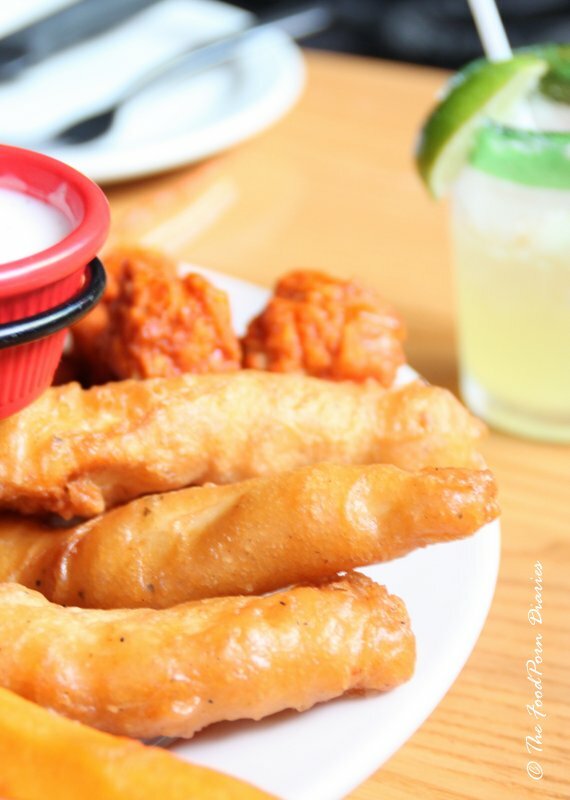 We choose the Chicken wings AND the Boneless Chicken wings to complete the five dipper. 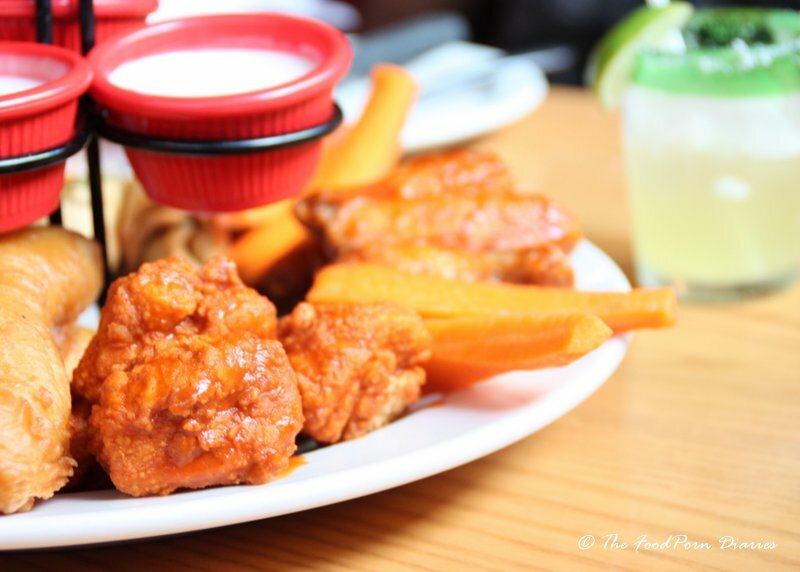 A lot of places do Chicken wings, but Chilis stays true to the Buffalo wings sauce recipe and lovers of American Buffalo wings will be very happy. Boneless Chicken wings (an oxymoron! ), even though tossed in the same sauce lacked the bite that wings on the bone had. We’ll put it down to classical conditioning. Ah, the Presidente Margarita. A perfect hand-shaken Margarita made with Souza Gold Tequila, Orange Liqueur and Brandy. It comes with its own Presidente Cocktail shaker and bartender who mixes the drink up at your table. 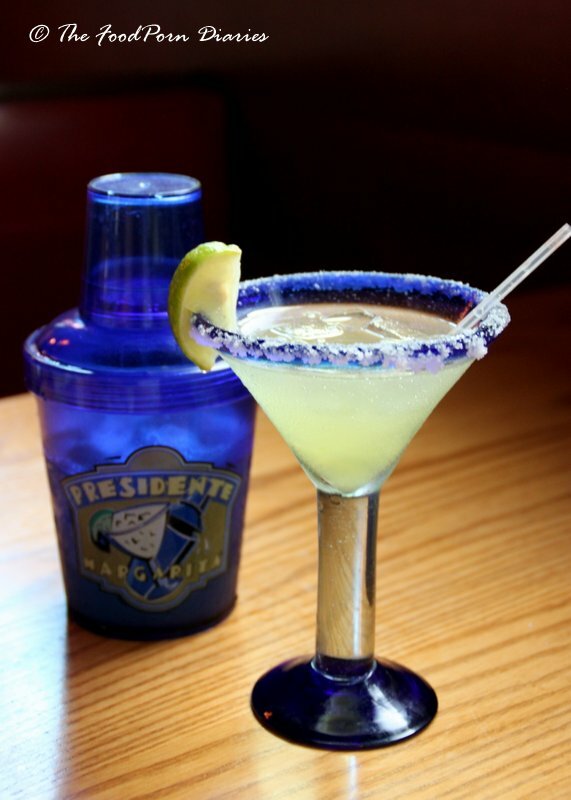 Poured in a beautiful Cobalt Blue brim Margarita glass, rimmed with salt and a lemon wedge – it is literally perfect. Chilis was running a special Beer and Burgers festival and had a whole array of International beers you could order. 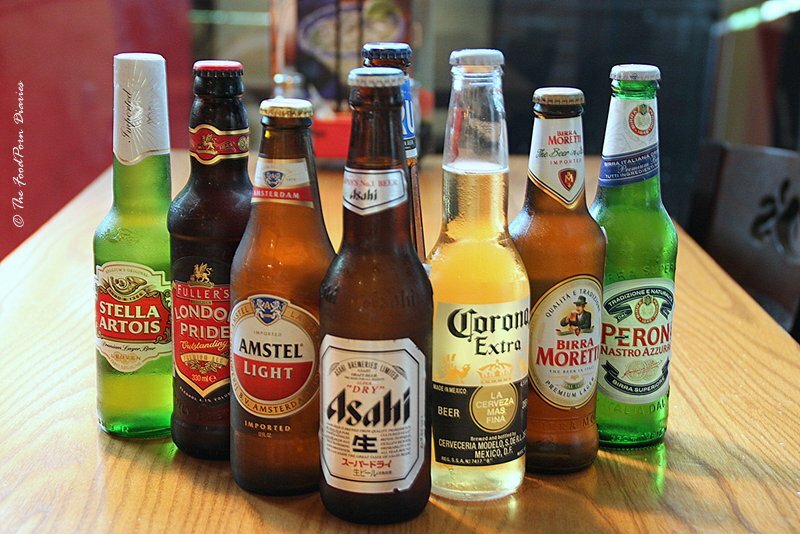 While beers like Peroni and Corona are available in most bars these days – we found some unusual ones as well. Asahi is my favorite brew, but we tried the London Pride (UK’s bestselling ale) and Birra Moretti (an Italian pale Larger). Other interesting finds include the Viru (Estonian Plisner) and Amstel Light (Malt Pilsner from Netherlands). There’s greedy and then there’s un-freaking-believably-greedy. Ordering a full rack of Baby Back Ribs (13 ribs) for one person, definitely falls in the second category. BUT the slow smoked, fall-off-the bone, BBQ goodness was worth every calorie indulgence on the planet! Just look at that sticky sweet glaze on those babies! Served with some crispy fries and corn on the cob, rest assured a person tucking into this meal will be in seventh heaven. For people who don’t eat pork (gasp) or people who would rather not overload their poor tummies – Chilis offers lighter options. Their Santa Fe Chicken Salad is positively holy. Their grilled chile-rubbed chicken with Spicy Santa Fe Sauce, house made pico de gallo, avocado, cilantro and tortilla chips will leave even the light eater wholly nourished and satisfied. Vegetarians have the same in a Panner option amongst other veggie options in Fajitas, Tacos, and Quesadillas. The Mango-Chile Chicken is the latest addition in the lighter fare section. 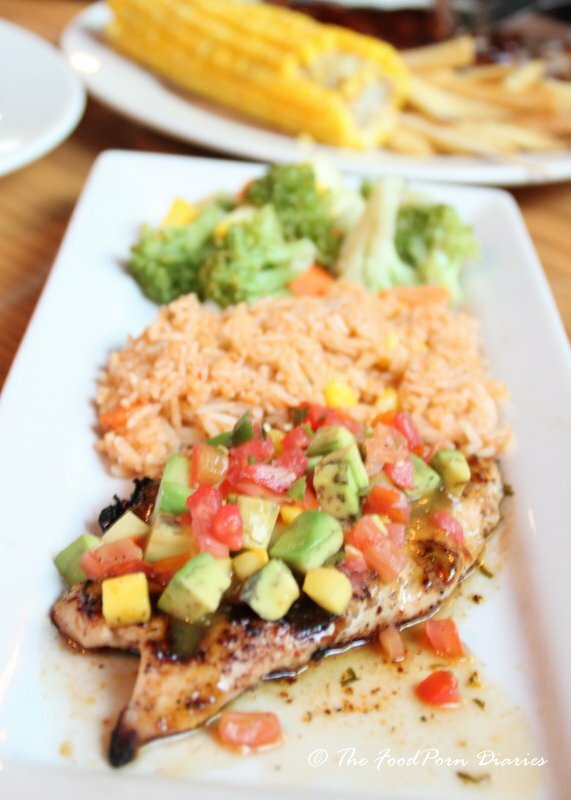 Grilled Chicken breast seasoned with a six pepper blend, drizzled with spicy habanero mango glaze and topped with chopped mango, cilantro and pico de gallo. Served with Rice and steamed veggies – it’s a complete carb, protein and veggie balanced meal! I found the Chicken breast slightly overcooked and I hoped they would have been more generous with the mango salsa. But in all, the dish is still a cracker of a new addition. If you have space for dessert – they have a decent selection. Again, the portions are American size, so you may want to consider sharing. The Chocolate Chip Paradise Pie was positively decadent. 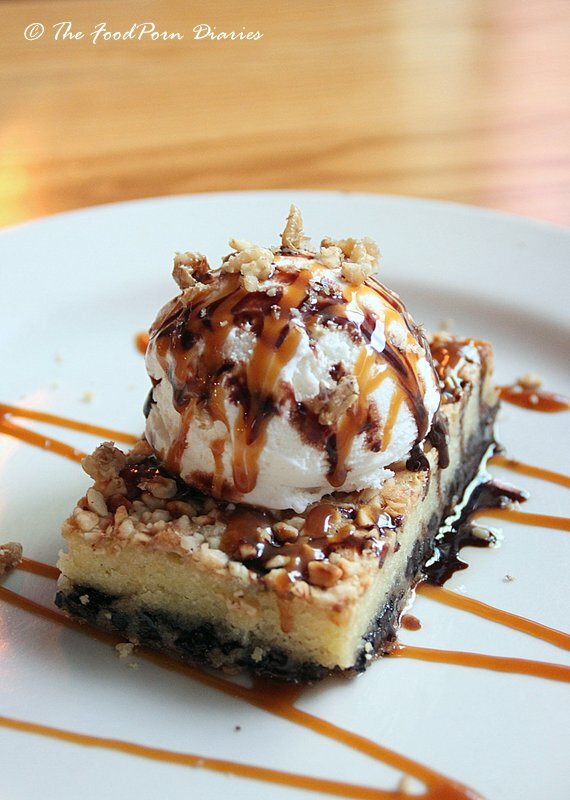 A chewy bar of chocolate chips and hazelnuts topped with vanilla ice cream, hot fudge and caramel. Too much of a good thing can be bad? Nah! In this case it was awesome. Chilis will attract large crowds as long as they keep their offerings consistent and stay true to their international standards. The Happy Hour offerings have always been popular with the college crowd and the weekday lunch combos of Rs.500/- for a Salad/starter + entrée + bottomless cola will have hungry office goers pouring in. The easy vibe of the place makes it a great hangout for large crowds and has enough to please picky family members. 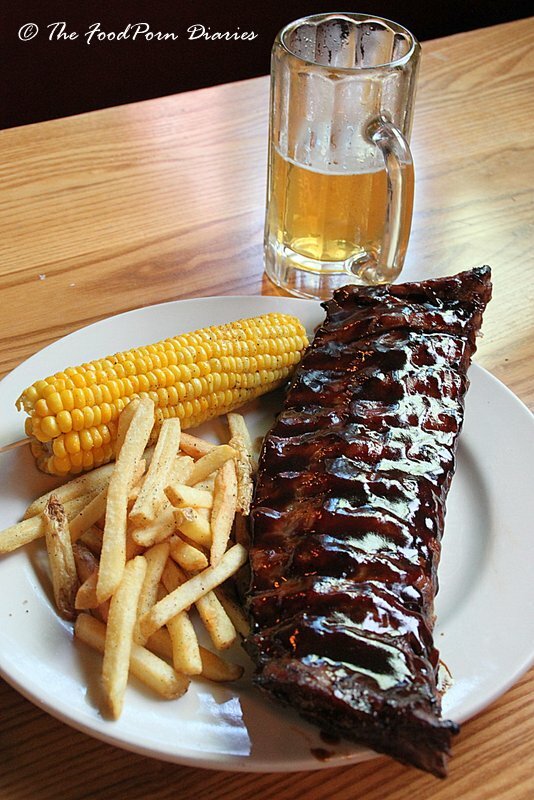 But I will always go there for the Margaritas … and the Baby Back ribs.